Tai Goo crafted this 'Bowi-enep' (Integral Bowie / Thai enep hybrid). 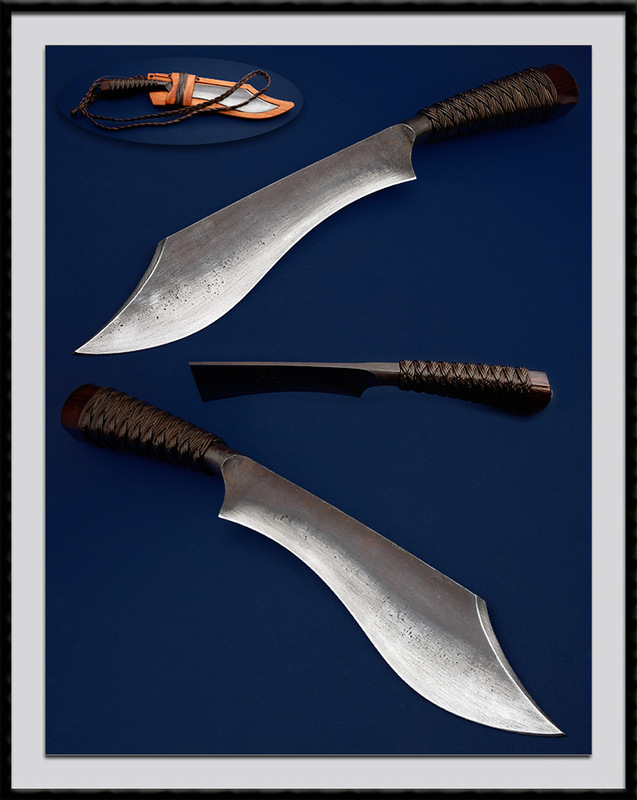 Neo Tribal forged 1095 blade steel, BL = 10", OAL = 16 7/8", Rose wood scales wrapped in linen cord sealed with Pinon Rosin. Comes with the pictured 'Hikot' sheath of rosewood with fittings and strap of linen and Pinon Rosin.